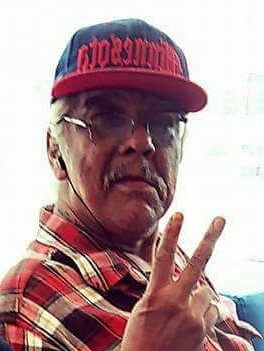 Charles “Sonny Boy” George Thompson III, age 61, of Cass Lake, Minnesota journeyed to the spirit world unexpectedly from St. Mary’s Medical Center in Duluth, MN on Tuesday, April 2nd, 2019. He was born in Cloquet, MN on October 30, 1957 to Sylvia (Paquette) and Charles Thompson II. Charles grew up and attended school in Minneapolis, MN. His given nickname was Sonny Boy but he decided that he wanted to be Chaz Westmiller instead. So, from then on, he was Chaz. Chaz’s favorite thing to eat, as a child, were “Dagwood” sandwiches. He enjoyed his job with Day Labor so much that he would go to work even if he was not feeling well. Chaz also enjoyed going to powwows, listening to his 80’s and 90’s R & B music and taking all the neighborhood kids to the park. He loved playing at the casino, watching wrestling, and taking random road trips. Chaz cherished his family the most. He loved spending time with his children and going to family gatherings. Chaz was such a softie when it came to his granddaughter Pam “Gosh Darn” that he posted many videos of her putting make up on him, and he was proud of it. He left us too soon, we will miss you…. Family that welcome Chaz to the spirit world are his parents; Sylvia Leith and Charles Thompson II, sons; William Thompson and Leo Senarighi, the love of his life; Pamela Senarighi, sisters; Marilyn Thompson, Laura Goodwin, Debra Thompson, Cheryl Thompson and Eliza Erickson, brother; Noel Thompson, Sr., special nieces; Tina Thompson, Lucinda Goodwin, Rose Thompson, Clarice Thompson and “George” Thompson, nephews; “Billiam” and Dutch Thompson. Chaz leaves behind his sons; Charles Thompson IV of Minneapolis, Jesse Thompson of Mahnomen and Joshua Senarighi of Minneapolis, daughters; Morgan and Stephanie Thompson both of Minneapolis, Ashley Thompson of White Earth and Korrine “Sister” Senarighi of Minneapolis, many stepchildren, brothers; Peter Thompson and Chris Leith, sister; Susan O’Quist, special granddaughter; Pamela “Gosh Darn” Senarighi, six other grandchildren and many more and numerous other relatives and many friends. An overnight wake for Chaz will begin at 4:00 p.m. on Saturday, April 6th at the Little Earth Gymnasium, 2501 Cedar Avenue, Minneapolis, MN. Chaz will then travel north for his next overnight wake that will begin at 10:00 a.m., Monday, April 8th at the Veteran’s Memorial Building in Cass Lake, MN. Traditional service will be at 1:00 p.m., Tuesday, April 9th also at the Vet’s Building. Pallbearers for Chaz will be Gordon O’Quist, Manuel Olson, Noel Cortez, Darnell Nicholas, Gerald Christianson, Francisco Puga and Michael Magney. His honorary pallbearers are Biggie Smallz, The Queen Lucy, The Boss Jackie, Kelly O’Quist, Corey O’Quist, Pam Pam, Cecily Rose, Cadence Rose, His Warrior Kris, Becca, Vydell Jones, Kiah, Ry Ry, Don Juan Jr., Red Thompson and all his nieces and nephews. At Chaz’s request his cremated remains will remain with his family.